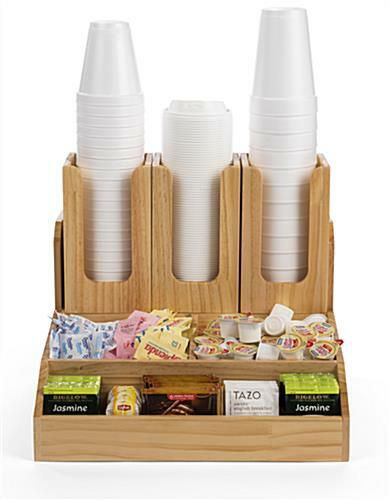 This breakroom condiment organizer comes with three removable stacks for coffee cups and lids and three large pockets for tea bags, sugar packets, and more. 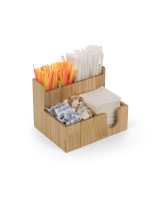 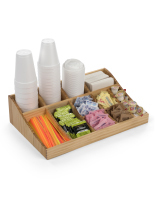 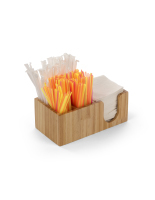 Use this countertop caddy for your office kitchen or café drink station to keep things looking tidy and presentable. 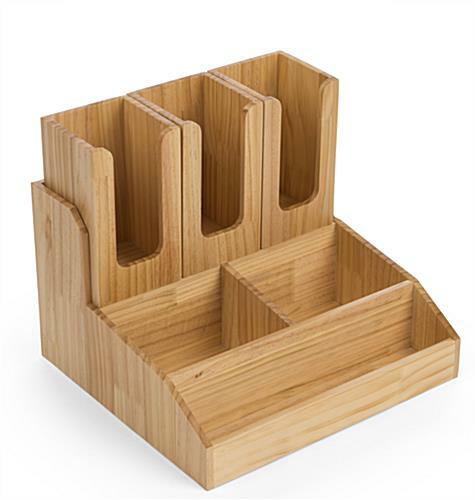 Each compartment of this pine wood breakroom condiment organizer has an open-top design for quick refilling. 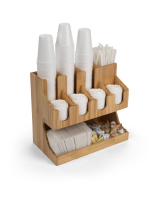 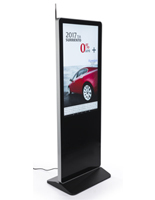 The removable cup and lid dispensers feature side cutouts, making it easy to see when it’s time to restock. 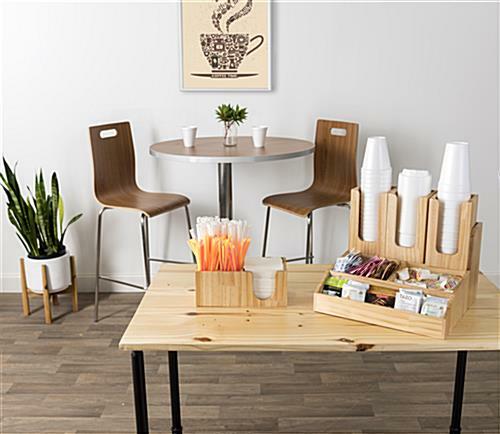 A natural finish lends itself well to many décor styles. 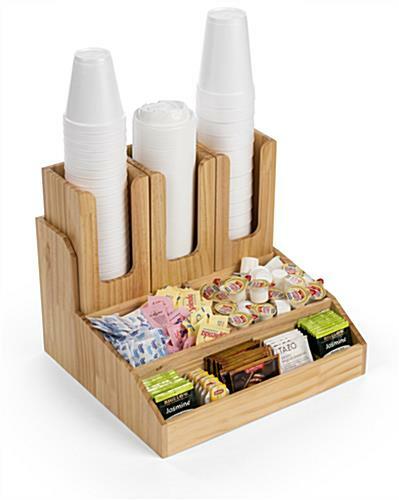 Whether for your office, home, or café, this breakroom condiment organizer is an elegant and convenient way to keep your space neat and clean. 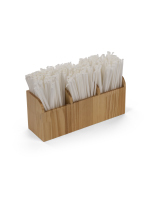 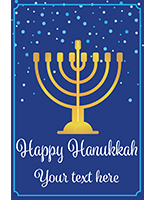 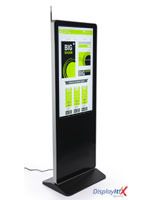 14.8" x 12.8" x 13.7"
6.9" x 3.5" x 5.5"
14.0" x 2.5" x 2.8"
3.9" x 7.5" x 3.9"